Willy Wonka & the Chocolate Factory 40th Anniversary Collector's Edition Only $22.99! You are here: Home / Great Deals / Amazon Deals / Willy Wonka & the Chocolate Factory 40th Anniversary Collector’s Edition Only $22.99! Willy Wonka & the Chocolate Factory 40th Anniversary Collector’s Edition Only $22.99! No one can ever replace Gene Wilder as Willy Wonka, IMHO! 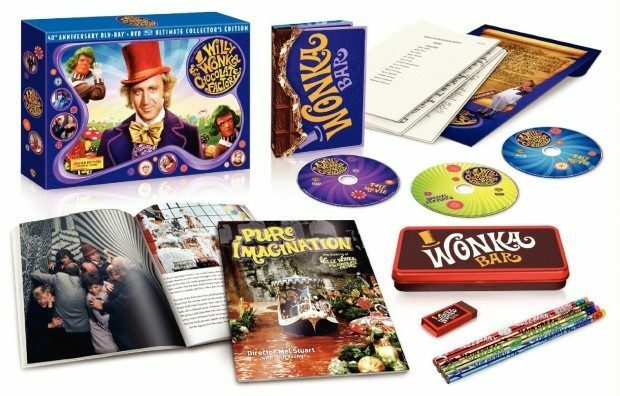 Amazon has the Willy Wonka & the Chocolate Factory 40th Anniversary Collector’s Edition for just $22.99! This movie is a great way to spend the evening with family and it would make a great gift!